Is there a better way to enjoy a Colorado summer evening than riding your bike to the neighborhood park, sipping on a $5 glass of La Folie, surrounding yourself with friends, and watching a series of creative films put together for you to enjoy? 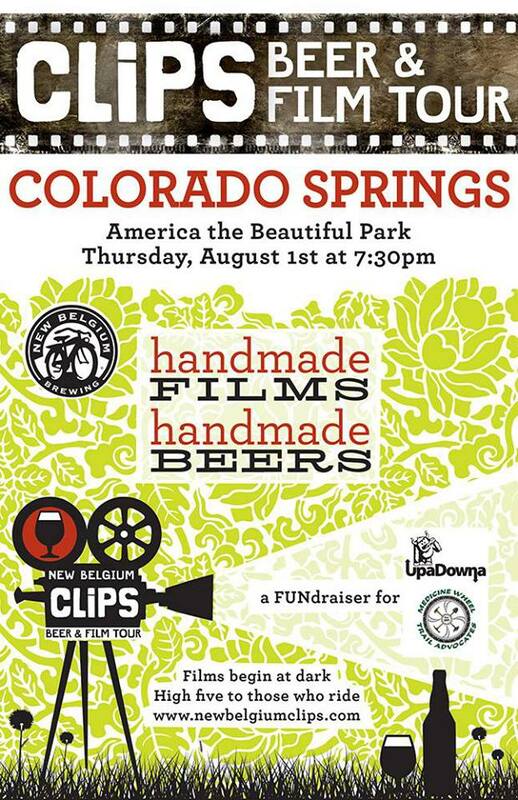 Thursday, August 1st New Belgium’s Clips of Faith Film Tour will be stopping at America the Beautiful Park to bring you 17 film shorts paired with 17 New Belgium Beers. No brewery can bring you seventeen beers without including some exciting, limited releases on the list. Some of the beers that will be pouring include Pumpkick, Yuzu Berlinerweiss, Hop Kitchen 2, `and Coconut Curry Hefewiezen. For many, this will be the first chance to try some of the beers available. They will be sold in 3oz samples ($1.25) and 12oz ($5) sizes so you can taste several on the list or pick your favorite. This film tour has been organized by New Belgium Brewing for four years, stopping in cities coast to coast. However, this is its first time stopping in Colorado Springs. Each year New Belgium opens up entry for short films to be submitted by fans all over the nation and they recieve quite the selection to sift through. Seventeen films were chosen this year based on creativity and they range from comedies to short documentaries covering topics from homebrewing to the quest for capturing the ultimate full moon shot. Each city of the tour pairs up with New Belgium to benefit a local cause. Food vendors from local restaurants provide something to snack on as well as proceeds from the event benefiting local non profits. In Colorado Springs, our beery friends at McCabes Tavern and Front Range BBQ will be cooking up something delicious. Admission to the event is free, and proceeds of beer sales will go to two great local organizations, UpaDowna and Medicine Wheel Trail Advocates. UpaDowna is an organization that helps raise appreciation and awareness for the outdoors. They do this through fantastic events like the McCabes Joy (bike)Ride on Wednesdays, which made this pairing with the bike centric brewery a no-brainer. 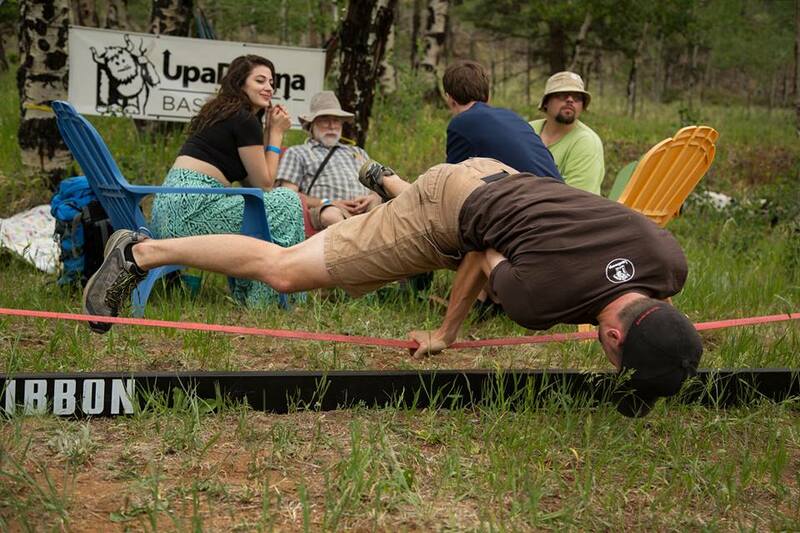 If you haven’t been to an event with UpaDowna, they tend to bring the fun with hammocks and a portable slack line and are hoping to do the same for this event. Also, there is word of some make-shift frisbee golf happenings throughout the evening. Randi Hitchcock of UpaDowna is very excited for the event and “seeing the amount of people riding bikes and just attending, this could be really big for our city and for bike and craft beer fans!” UPDATE: UpaDowna will be hosting the Joy Ride the same evening as the event. Riders will leave McCabes at 6:30, routing to the event’s location at America the Beautiful Park. Medicine Wheel Trail Advocates will also be teaming up for this cycle centric event. This local organization was officially formed in 1991 by “a band of folks who wanted to keep trails open for mountain biking,” said Allen Beauchamp of MWTA. Since then this organization has done a tremendous amount of work to keep trails accessible for everyone through trail building and maintenance, advocacy, education, and outreach. Together these organizations are providing all 61 of the volunteers for the event, including a bike valet! The hope is to bring together people from throughout the area to get outside and ride their bikes, support these great organizations, drink some delicious beer, and enjoy some amazing films! Come out and support this event and we might be lucky enough to have it return. Medicine Wheel Trail Advocates, whose mission is to maintain and expand trail access for mountain bikers and all trail users in the Pikes Peak region. UpaDowna, whose mission is to raise awareness and appreciation for the outdoors by providing fun and educational adventures for all ages and experience levels.